We’ve managed a heckuva lot of different establishments in the world of gaming in our day: amusement parks, hospitals, whole civilizations … and tons of restaurants, too. And now it’s the turn of one of Italy’s most exported foods. Good Pizza, Great Pizza turns you into the owners of a small pizzeria in the making, and you’ve got to make it as good as it can be. To do so you’ve got to be smart about managing your money and make some damn good pizza. Think you can do it? Time management games made a huge impact after the arrival of the famed Diner Dash. This game about waiting tables made way for a string of similar titles, but what’s most interested to us is that it fathered Cooking Dash, which started with the same idea but applied it to cooking. A shakeup that coincided with the new trend for cookery in gaming, TV shows, and movies. Good Pizza, Great Pizza follows this tendency and does it brilliantly. Good Pizza, Great Pizza is a fairly simple game. Your job is to cook pizzas for the different customers who show up in your restaurant. You take the dough, add the ingredients for the order, stick it in the oven, and slice it up to serve to the customer. The fun bit is that each customer has very specific tastes, so you’ll be making all kinds of different pizzas. 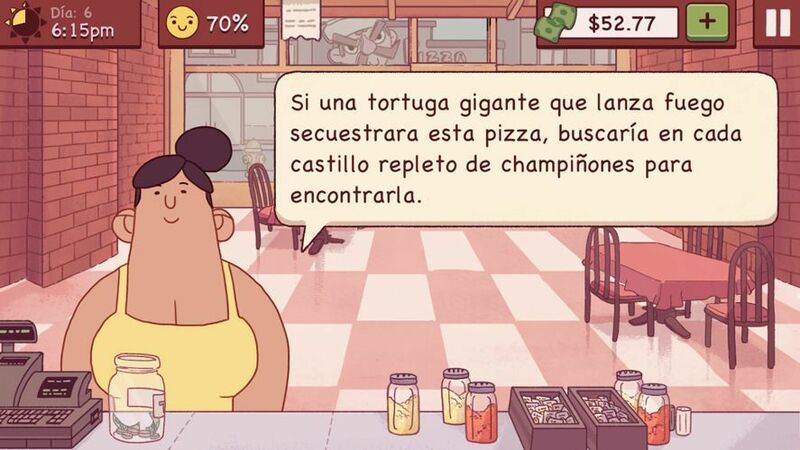 Plus the neighborhood residents who visit your pizzeria tend to be a bit cryptic in their orders and you’ll often have to ask them, sometimes twice, exactly what it is they want. All this matters, as a timer will be ticking down and with it your customers’ happiness levels as you take longer to give them their pizza. And obviously you want to keep them as happy as possible, as the more of them there are, the better your tips. Although cooking is the main thing you do in Good Pizza, Great Pizza, you also have to do basic management tasks in your establishment. Buying new ingredients, getting upgrades for the pizzeria, and repairing your oven are some of the things you have to do. And for that you’ll need money – money earned by the sweat of your brow, or rather, the sweat of your fingers. 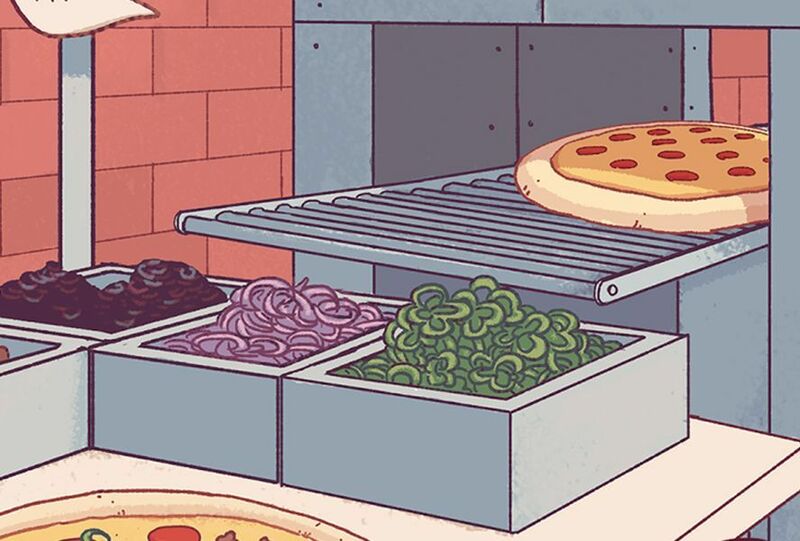 By making the best possible pizzas you’ll get the (green) dough you need to keep improving your business. A long slong that you’ll have to do day after day after day. Nobody said winning would be easy … although you can dish out some real money to get ahead faster. Luckily you don’t have to do that, though, as making pizzas is quite fun enough thanks to the variety of the orders. 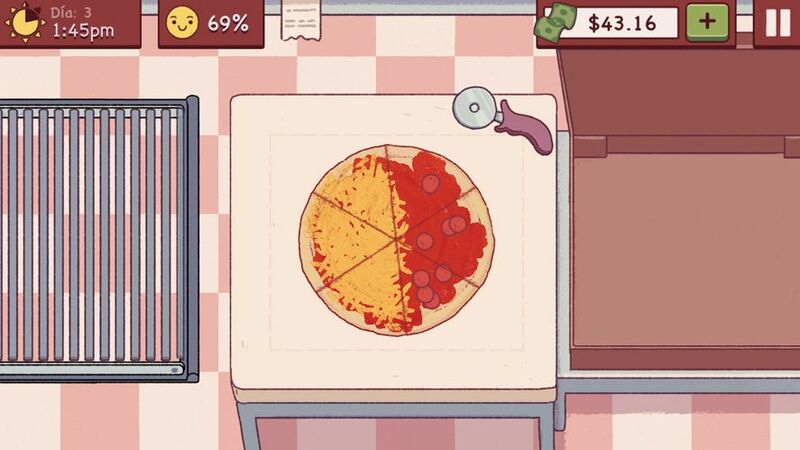 Good Pizza, Great Pizza is a game that’s quite reminiscent of the awesome Cook, Serve, Delicious!, which is a huge compliment to this game from TapBlaze. A title that will win you over thanks to its simple and addictive pizza-making gameplay, sense of humor, and cute animated aesthetic.